Madrid—Spain's biggest city and capital—and Valencia (the third largest) are among Spain's most popular destinations. 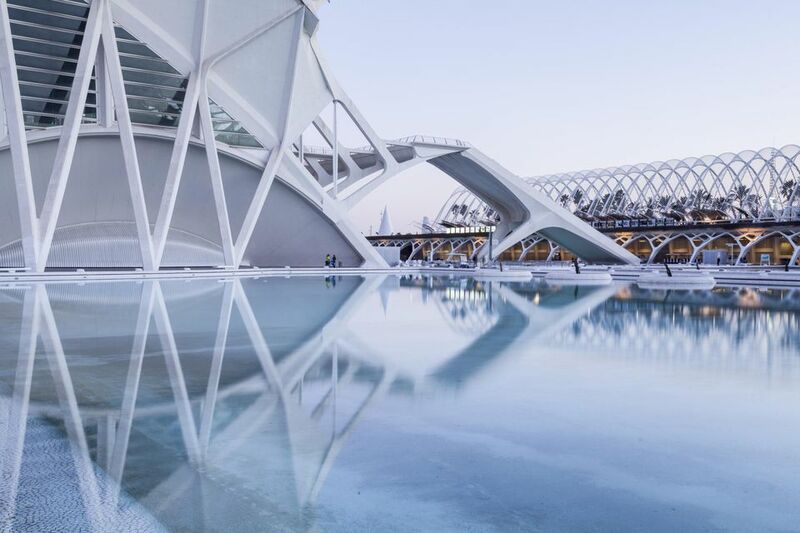 Valencia has the added appeal of being the closest beach city to Madrid, which makes it perfect for escaping the intense heat of summer in the capital. Although there are many methods of transportation to travel around Spain as well as between Madrid and Valencia, the easiest route is the high-speed train AVE train. The train is so quick and efficient that you can even visit Valencia as a ​​day trip from Madrid. The high-speed train is by far the best way to get from Madrid to Valencia. It's also highly recommended to make a stop in Cuenca along the way. The train from Madrid to Valencia takes about one hour and 30 minutes and costs about 80 euros. This journey uses the new, high-speed AVE train network. Trains from Madrid to Valencia depart from Atocha train station. Valencia's train station is in the center of town, so it's easy for tourists and locals to get to (plus if you ask anyone, they'll be able to give you directions). Buses from Madrid to Valencia take four hours and cost about 25 euros, a fair bit cheaper than the train although it is a lot slower. Buses from Madrid to Valencia depart from Mendez Alvaro bus station, which is located on the outskirts of the city (unlike the central train station in the heart of Madrid). However, it might be the case that your accommodation will be closer to the bus station than the train station. Especially for travelers who booked more budget accommodations compared to high-end hotels in downtown Madrid. If you choose to drive, the trip is 355 kilometers, which takes about three hours and 30 minutes. To get to Valencia, the easiest route is to take the A-3 freeway from Madrid. Note that this highway does have tolls, so you'll have to factor that extra cost in addition to gas prices and rental car rates. If you want to break up the journey, consider a slight detour Cuenca, a medieval mountain town in central Spain. Cuenta is known for its historic walled old town, ancient castle ruins, and clifftop casas colgadas or hanging houses that jut out over the Huécar gorge. Aranjuez, just 40 minutes south of Madrid, is also worth a stop. There are regular flights from Madrid to Valencia, and they can be very cheap if booked in advance. If you book a non-stop flight, you'll only be on the plane for an hour—making this the fastest route between Madrid and Valencia. Iberia and Air Europa offer direct flights, starting at $50 round-trip.